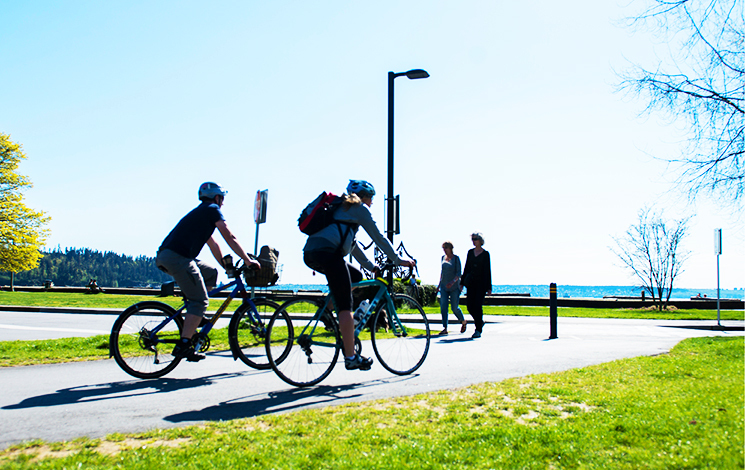 West Vancouver roads accommodate much more than just cars: Blue Buses transport thousands of people every day, expanded bike lanes mean cyclists have more options than ever, and sidewalk improvements mean safer, more efficient experiences for pedestrians. Think you can take one less car trip each week? Join thousands of Metro Vancouverites who are avoiding traffic congestion while reducing their environmental impact. Learn more about your options and take the TravelSmart pledge.